Let’s say you’re a recently graduated mechanical engineer in India; the next step is a job in IT, right? 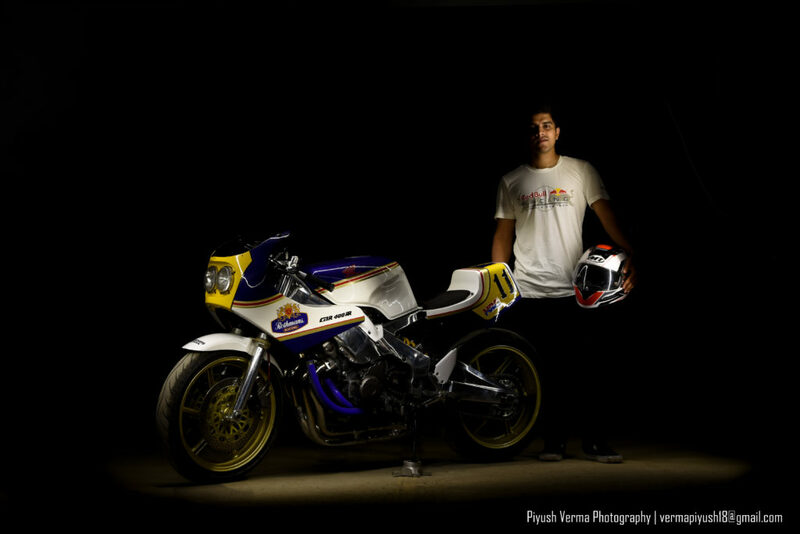 But sometimes, motorcycles get in the way, and that’s the case with Piyush Verma and Nishanth Patel of Bangalore, who decided they’d rather build motorcycles for a while, and see if there’s a career in motorcycle design and/or photography for him. They’d got their feet wet building custom vehicles with 3 years running their own off-road racing team, entering the Baja SAE (Society of Automotive Engineers) competition, run by SAE India. 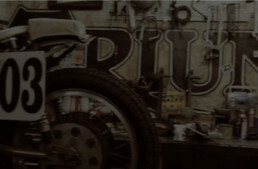 The ‘Baja’ is a worldwide inter-collegiate vehicle design competition, with over 140 entries annually for engineering students to build off-road racers, which are put through a variety of speed, agility, economy, and design tests. 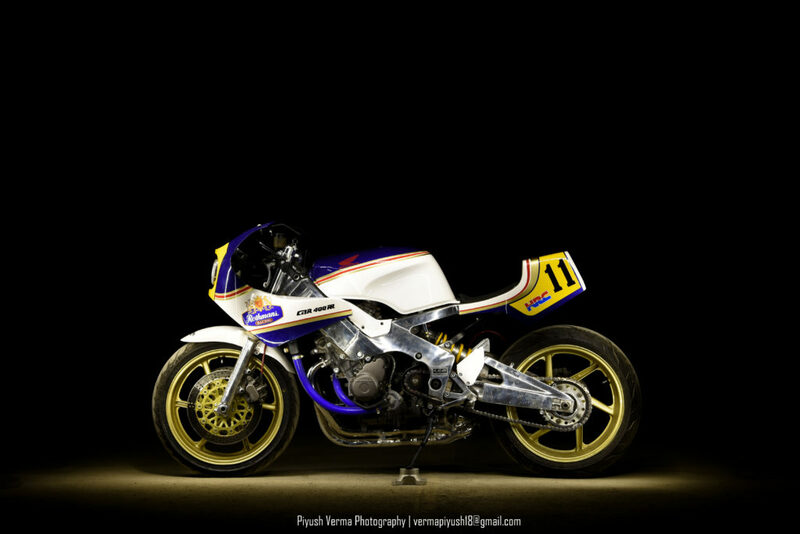 “We wanted it to have a retro Endurance Racer look, in contrast the sharp-edgy bikes of today. We made a cardboard template and then made the entire fairing and seat from an aluminum sheet. 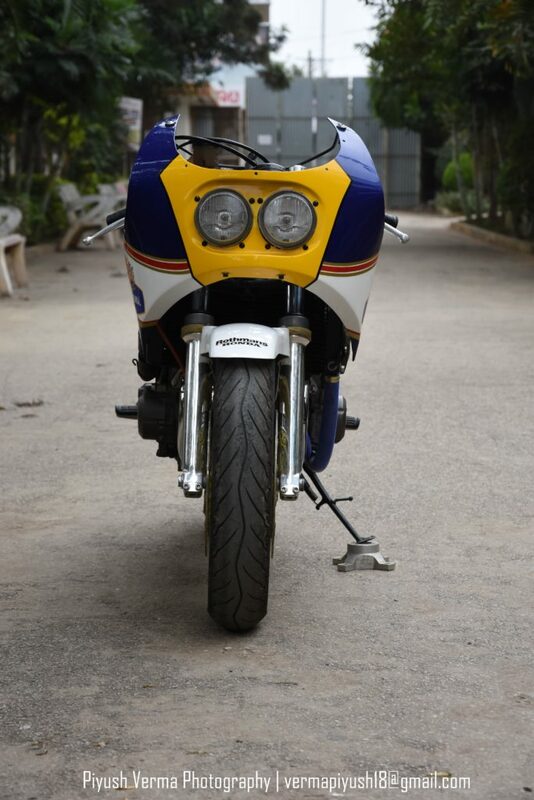 The paint scheme is from a Rothmans Honda; we felt it best suited the character of the bike. 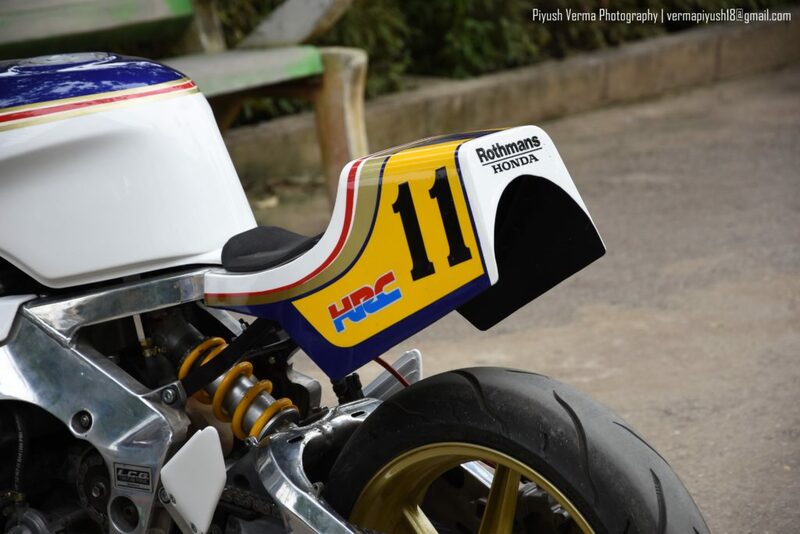 The entire chassis was buffed for a mirror finish, including the swing arm. 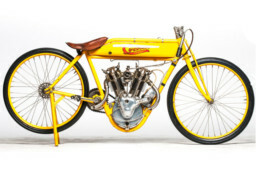 The bike has its original head lights, a freeflow exhaust and racing hoses and brake lines.” Verma thinks this might be the first inline-4 Custom in India, since the Indian ‘big-bike’ market is dominated by Royal Enfields, which are the typical custom-fodder. “So that’s our story for now, it’s short since we just came into the field! 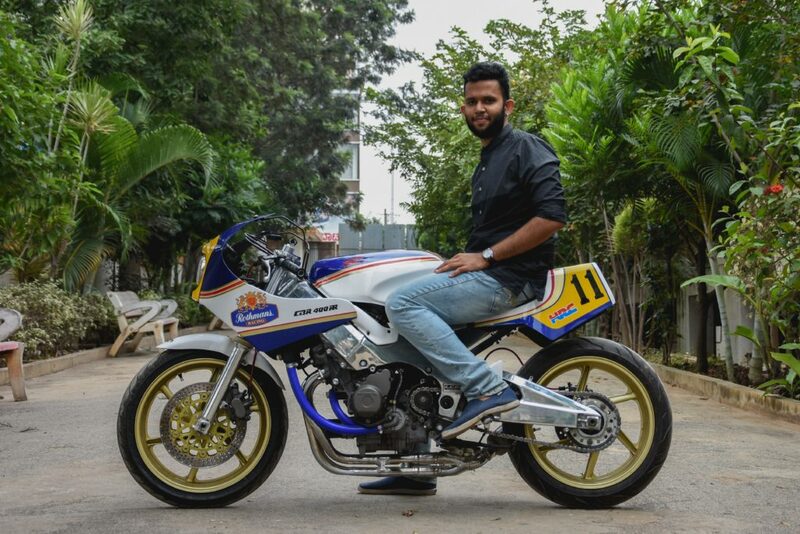 Someday we’ll hopefully make an epic build.” As fans of vintage Endurance Racing, we’d say this is pretty epic already, and it’s great to see young customizers branching out in India from their typical Bullet beginnings. We can’t wait to see more from young builders like these!